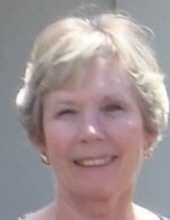 HAMILTON, Sandra Lee - Age 74 of Highland, formerly of Flint, passed away March 21, 2019. Cremation services provided by Sharp Funeral Homes Fenton Chapel 1000 Silver Lake Road, Fenton. Memorial contributions would be appreciated to the family. Sandra was born September 26, 1944 in Flint, the daughter of Clyde Alexander and Evelyn Naomi (Belford) Hamilton. She graduated from Carmen-Ainsworth H.S. and attended C.M.U.. Sandra was a member of the Order of the Eastern Star. She enjoyed; genealogy, quilting, sewing, and knitting. Surviving are: her children, Carla (Michael Tapp) Stone, James (Amy) Stone, Michael (Vicki) Stone and April (Lee) McCoy; grandchildren, Jeanine, Cheyenne, Codi, Autumn, Connor, Max, Alivia, Kaitlin, Robert, Shawn, John, Kylie, Cheyenne and Lee; great-grandchildren, Ravena, Isadora, Elias, Flint, and Jackson; siblings, Gary Hamilton, and Mary Behrns. Sandra was preceded in death by her parents. Online tributes may be shared on www.sharpfuneralhomes.com. To send flowers or a remembrance gift to the family of Sandra Lee Hamilton, please visit our Tribute Store. "Email Address" would like to share the life celebration of Sandra Lee Hamilton. Click on the "link" to go to share a favorite memory or leave a condolence message for the family.